SeaWorld San Diego is joining theme parks around the U.S. in boosting security measures over the holidays, park officials said Thursday. “The safety of our guests and team members along with the welfare of our animals have always been our top priority,” according to SeaWorld San Diego. 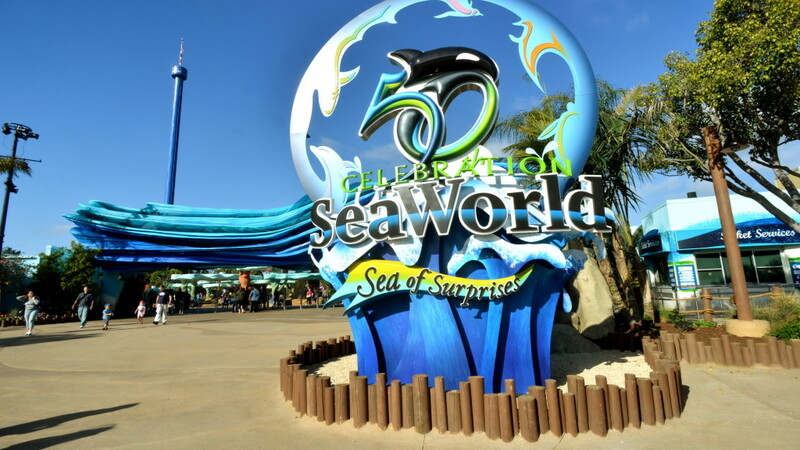 The Orlando Sentinel reported that wand metal detectors are being used to check guests at the SeaWorld park in Florida, but officials at the San Diego location refused to comment on whether they were taking such a step. Metals detectors — now common at airports, courthouses and other public buildings — are also being used at Disneyland and Universal Studios Hollywood as concerns grown across the country about outbreaks of violence in crowded public places. At Disneyland, guests will be randomly selected to go through metal detectors as part of the new safety protocols, which also include the cessation of toy gun sales and a ban on costumes for patrons 14 and older. “We continually review our comprehensive approach to security and are implementing additional security measures, as appropriate,” said Suzi Brown, a spokeswoman for Disneyland. After guests have their bags checked by security, some will be randomly chosen to go through portable metal detectors, much like the ones used at major sporting events, an official said. The theme park has beefed up the number of uniformed police officers outside the company’s parks in recent weeks. Officers are also increasing the use of “vapor wake dogs” that are specially trained to detect residue from explosives. Toy guns will no longer be sold in Disney theme parks and hotels, but they can still be bought at Disney’s outlying retail stores and online. Toy guns won’t be allowed in the parks either. Guests 13 and younger may still wear a costume to the park. The San Diego Zoo did not immediately respond to a request for comment. The theme parks did not reference any specific event that precipitated the move. But concerns about violent outbreaks at crowded public venues have been heightened in recent weeks following the terrorist attacks in Paris and San Bernardino. The Paris attacks targeted a concert hall, soccer stadium and cafe, while the San Bernardino attack occurred during a holiday party at a treatment facility for people with developmental disabilities.